We provide a detailed range of contact center services through heart-to-heart interactions that place the greatest priority on a dialog with the customer. Although attitudes, values, and personalities may vary widely from one customer to another, each of our professional communicators thinks, feels, and acts with the goal of providing every customer with the smoothest, most pleasant interaction possible. Dedicated groups of communicators are managed by the client company using our own computer system. Group leaders monitor individual communicator calls and manage reporting tasks, while supervisors are directly responsible for client-related tasks, as well as attending to the emotional well-being of the communicators. When communicators are mentally weary from long hours on the phone or handling complaints, the supervisor’s ability to quickly follow up with encouragement, or suggest a break makes it possible to maintain a certain level of quality. Another feature of the system is the whispering function, which enables group leaders and supervisors to provide appropriate advice, when needed, without the customer noticing. This feature allows senior staff to monitor calls in real time, and provide swift, optimum instructions to any communicator who may be having trouble with a call. Another original feature of our system is the ability to route calls outside of a group. This ensures that the customer will not get a busy signal, even when all members of a group are busy taking calls. Dedicated groups of communicators are managed by the client company using our own computer system. Group leaders monitor individual communicator calls and manage reporting tasks, while supervisors are directly responsible for client-related tasks, as well as attending to the emotional well-being of the communicators. Order handling can be provided for various mail order and direct sales channels. With the highly reliable systems we have in place, clients can rest assured that tele-net can go beyond ordinary customer contact services such as product descriptions and operating instructions, order data entry and changes to customer records, providing an even more sophisticated level of customer service. 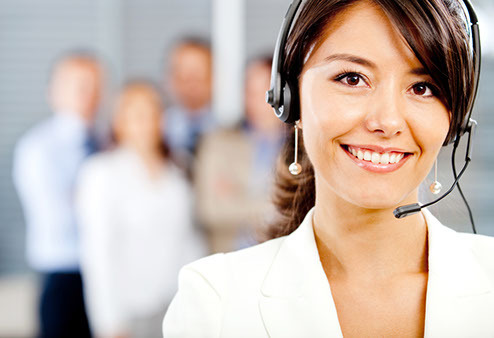 tele-net also provides highly-regarded technical help desk services requiring specialized knowledge. Our processes are designed based on years of experience and results, enabling a reliable quality of communication and the ability to handle cases smoothly even when sophisticated responses are required. tele-net can even have a last-minute campaign up and running quickly. Our wide range of services includes entry processing, data management, tabulation, and other support. This customer list maintenance service is provided on a regular basis to ensure lists are always up-to-date, ready to be used at any time in all types of sales strategies. Calls are placed to the customers based on these lists, but with the appropriate script, the calls can be seen by the customer as an extension of the client’s customer support services, further increasing corporate value and enhancing customer confidence. We can obtain the information needed for new business development and sales strategy proposals, including individual and corporate names, phone numbers, and other data. For new and existing products and services, tele-net can prepare survey questions and scripts as well as conduct the actual survey. Questionnaire-based surveys can be provided via phone, e-mail, fax, and direct mail. We provide complete support for the entire process, from questionnaire development to post-survey data tabulation. We began offering BPO services due to many requests from our client companies. 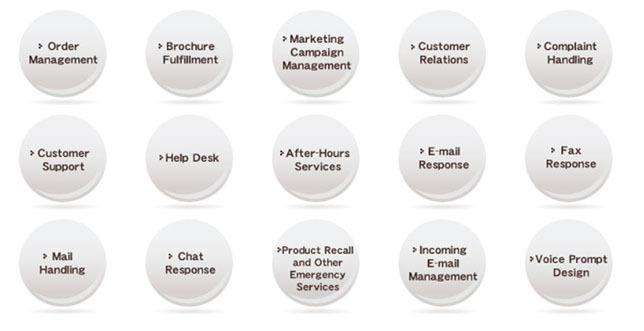 Through our customer contact operations, we can also provide BPO solutions to process all sorts of data. We will help your company realize improved operational efficiency as well as improved cost reduction. Not only acting on behalf of your requests, we will also plan and execute solutions for your mission once we understand the total workflow of your business. We can also give suggestions to improve daily operations and the quality of data, and provide support for a wide range of business processing. We offer 24-hour services in Japanese as well as English, Spanish, Chinese, Italian, German, French, Dutch and Korean. We provide quality services by hiring communicators who are native speakers of those respective languages. We also plan to establish contact centers in other countries as part of our ongoing push to provide global services. By shifting services between contact centers depending on the language required,tele-net can ensure that services are provided by communicators who are native speakers of that language. By communicating with our clients’ customers around the world in the language they are comfortable with, our services provide outstanding customer satisfaction.